Wondering what to do with your cranberry liquor? Lots of things! You could mix it into some ginger ale for a fancy Shirley Temple-y drink. You could make a cranberry cosmo, by mixing 2 oz cranberry liquor with 1 oz cranberry juice, 1/2 oz of triple sec, and a squeeze of lime juice. You could mix it into some orange juice. 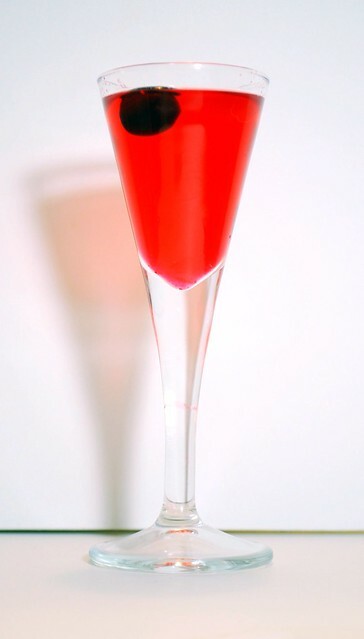 You could make a sparkling cranberry with 1 oz of cranberry liquor in the bottom of a glass topped off with champagne. Or you can just sip it straight. Freeze some cranberries to chill your drinks instead of ice cubes. I made both the liquor and mixed it with ginger ale. It was delicious!